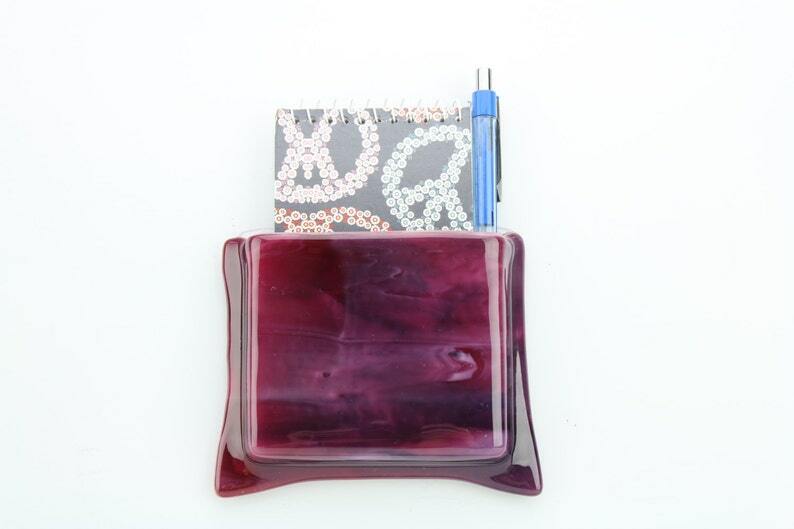 This magnetic notepad holder features streaks and swirls of gorgeous deep cranberry pink glass with wisps of purple and white contrast. Incredibly vibrant, this glass magnet immediately transforms any space with its versatility and functional beauty. It makes a wonderful and unique gift for your next birthday, housewarming, wedding, Mother’s Day, teacher appreciation, or other special event. Use it as a “Thank you” gift for your valuable clients, customers, or employees.